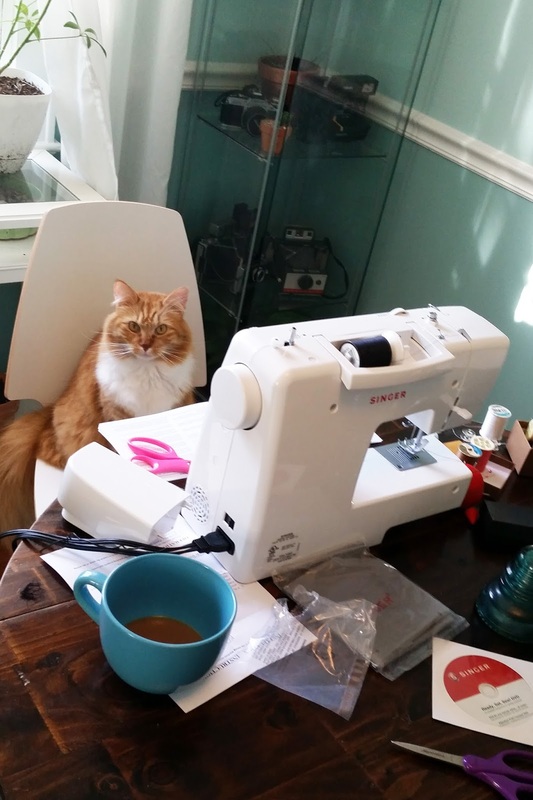 Chester and Cloud were overjoyed when I got a sewing machine. 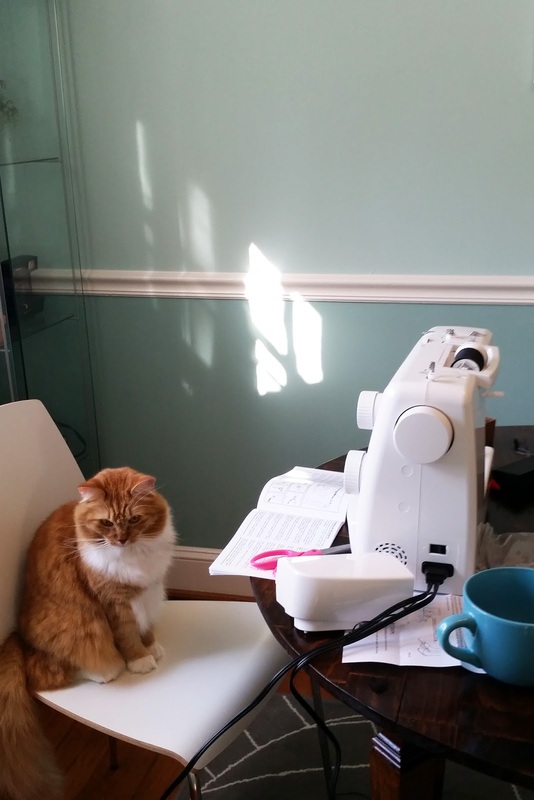 They were enthralled by it and couldn't stop watching me sew! 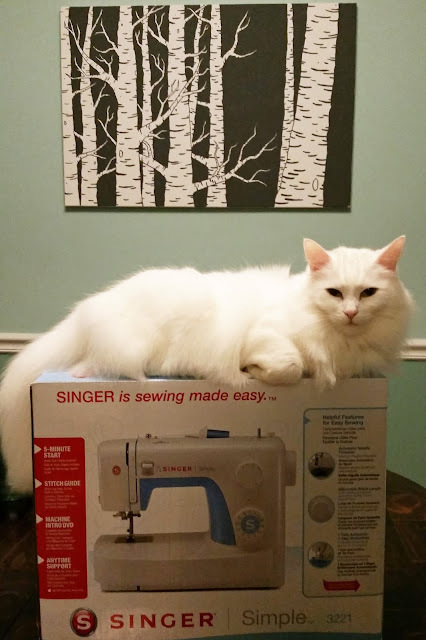 Cloud felt the need to claim it before I even took it out of the box.